Along with some other former Soviet areas, there has been open Western military involvement in the strategic flash points of Moldova and Ukraine – a point leading to whataboutism on the Russian troop presence in the disputed former Moldavian SSR territory of Pridnestrovie, Crimea and the Donbas conflict. In the role as peacekeepers, the limited Russian troop presence in Pridnestrovie, involves a mostly pro-Russian area that isn’t so historically a part of Moldova. Rather ironically, the support for having Pridnestrovie in Moldova and Crimea as a part of Ukraine, is something that was Soviet initiated. Crimea’s changed territorial status doesn’t conflict with the majority in that region, who were aghast at the violent street demonstrations in Kiev (some of it caused on the anti-government side), which led to an increased Russia unfriendly influence in the Ukrainian capital. Kosovo has essentially been taken away from Serbia, in contradiction to UN Security Council Resolution 1244 and the preference of Belgrade. 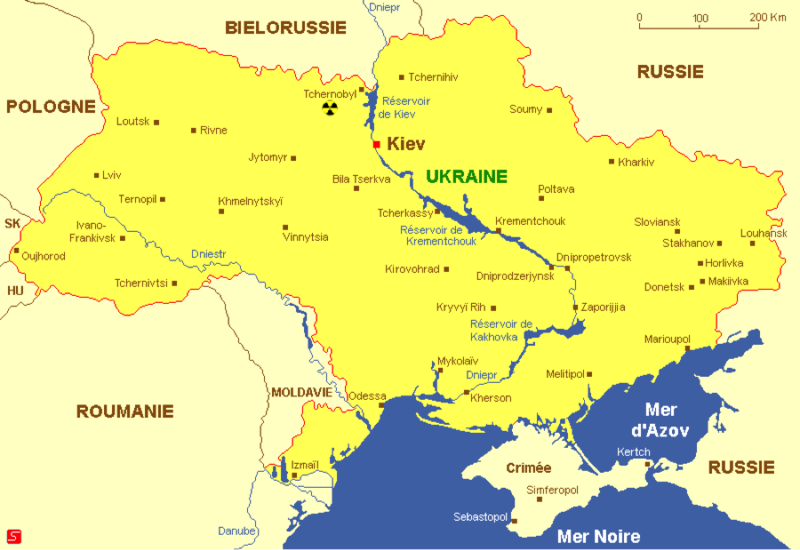 There’s a good basis to believe that the Donbas situated rebels are overwhelmingly native to the territory of the former Ukrainian SSR – a term used to include Crimea. Numerous polls in the Donbas show negativity towards the Kiev regime. That region’s close historical and cultural ties to neighboring Russia makes it perfectly understandable why the Kremlin is concerned with what happens there. 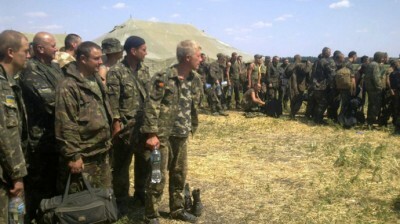 Some on the Kiev regime side have openly spoken of an Operation Storm like action in the Donbas. The aforementioned Croat military operation saw the ethnic cleansing of at least 150,000 Serbs from Krajina in 1995. In the event of such an action in Donbas, the Russian government would be perceived as weak for letting it happen. As is, the Kiev regime military activity has resulted in noticeable civilian casualties, infrastructure damage and the creation of many refugees. For the likes of Kocijanic, Western military activity in the former Communist bloc isn’t provocative, unlike when Russia, Serbia and Belarus announce a planned military exercise. Mind you that the Belarusian and Serb governments exhibit policies which simultaneously reach out to the West and Russia. Reaching out to the latter is what continues to be scorned in some influential Western circles. This advocacy meshes with the EU’s zero sum game stance, in the lead-up to the ouster of Ukrainian president Viktor Yanukovych. Prior to his overthrow, Yanukovych and Russia sought joint Russian, Ukrainian and Western talks on how to best develop Ukraine, at a time when Ukraine’s population was closely split over viewing the EU and the Russian involved Eurasian Union. The EU and the Obama administration opposed this three way approach, in preference to a zero sum game option, that sought to limit Russian involvement. In dire need of support, the post-Yanukovych Kiev regime isn’t getting the degree of aid it needs on account of its hostility towards the Kremlin and the EU’s exhibited limits that include being suspect of an entity that has corrupt aspects linked to it. Rather than face reality, there remains further posturing against Russia and the pro-Russian constituency in the former Ukrainian SSR. In a way, this unreasonable position comes as no surprise, given how Russia related issues are frequently covered in Western mass media. An August 20 NATO affiliated meeting in Riga, highlighted support for a concerted Western effort to combat “Russian propaganda”. This advocacy is an overkill to the already overhyped imagery about a perceived evil seeking to misinform many. Downplayed in that mindset, is the effort for an evenhanded approach in understanding the differences of opinion on Russia related matters. The tag on Russians at large having a limited knowledge of events related to their country can be easily applied to its nay sayers. A case in point relates to Eugene Bai’s commentary. His opinions are indicative of the kind of minority Russian perspectives that have been favored at such outlets as Newsweek and The New York Times. In turn, many in the West (especially those with a secondary interest in Russia) have an overly negative impression of Russia, which (to a certain extent) is subconsciously based on what they’re prone to regularly get from their preferred news sources. Russia’s emotional response to President Barack Obama’s State of the Union speech might be accounted for by both Russia’s historic inferiority complex and the mounting toll of the country’s current economic difficulties. Furthermore, such an emotional reaction can be explained psychologically. One can suggest that the Russian political elite is trying with all its force to attract America’s attention to Kremlin politics. Their calls for equal relations conceal a profound inferiority complex that was formed after the fall of the Soviet Union. How far they are prepared to go with this rhetoric is difficult to divine. The introductory header says a “historic inferiority complex“, with the excerpted follow-up stating that this manner “was formed after the fall of the Soviet Union.” Either way, both characterizations constitute psychobabble. Role reversal could reasonably argue a superiority complex among Russia’s detractors, which has a level of arrogance, ignorance and hypocrisy. This attitude seems to believe that it’s in the right, without looking at the full picture. – use terms like “Kremlin troll” against sources utilizing facts and fact based opinions in formally presented commentary. Human nature at large tends to not take kindly to repeated insults in one form or the other. Mainstream Russians are answering back in ways that fluctuate in terms of accuracy and sophistication – as some others choose to not provide substantively direct counter-replies. In his April 7, 2015 article “Sorry, But Soft Power Isn’t A Part Of The Rusisan Tradition“, Bai writes of an RT network “with a huge budget” that “has the clout to hire top Western presenters and pay them more than the likes of CNN.” (RT is the Russian government funded 24/7 TV news station, which broadcasts in several languages.) Those familiar with the Anglo-American 24/7 TV news media scene, know that RT hasn’t hired away well established Western TV personalities, who command high salaries in their field. To a degree perhaps, Larry King serves as an arguably possible exception. King has presented himself as his own boss, whose show appears on RT and another network in a contractual arrangement. Thom Hartmann seems to have this relationship with RT as well – a show that’s currently available in a contracted agreement with more than one network. Without knowing for sure King’s annual income over the years, one gets the impression that he might’ve willingly taken a pay cut upon leaving CNN, for the purpose of having greater flexibility. From a distance, he seems to be in a good position to pursue that option, if that’s indeed the case. Overall, RT’s presenters, reporters and hosts, typically appear younger and less experienced (in terms of media employment experience) than those of numerous Western TV news networks – thereby suggesting a lower pay scale. That said, RT has some adept professionals with Western mass media and non-Western mass media experience. At RT, Max Keiser, Kevin Owen, Afshin Rattansi and Bill Dod, appear to be among the most (if not most) tenured, when it comes to prior Western mass media TV experience. Al Jazeera/Al Jazeera America has hired a good number of seasoned North American TV/radio professionals (like John Siegenthaler, Ray Suarez, Sheila MacVicar, Soledad O’Brien, Ali Velshi, Randall Pinkston, Jennifer Glasse, Antonio Mora and some others), whose respective salary level are most probably greater than what RT has tended to offer. In short, RT doesn’t come close to having the same track record as Al Jazeera/Al Jazeera America, when it comes to hiring high profile North American TV/radio professionals.